Hand made stoneware beads coloured with acrylic paints and sealed with a varnish. Each bracelet is different. Select from available words, or request custom words. Specify: Faith, Love, Luck, Trust, Truth, or Custom. 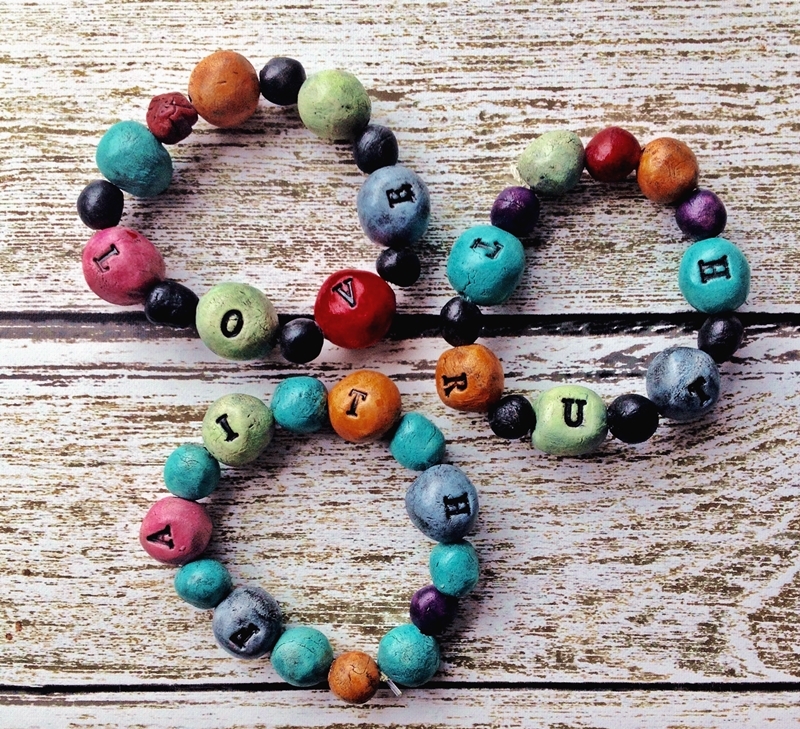 Hand made beads are featured on this Boho (Bohemian) word bracelet. 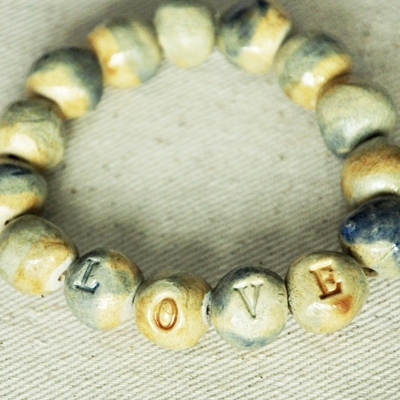 The beads were individually made by hand, kiln fired, then glazed with blue and tan glazes. They are strung on super stretchy jewelry elastic, so are easy to put on and take off. The word LOVE is shown here, but custom words/names are also available. (Faith, Respect, Trust are some other words that may be available). Fits an average-sized woman’s wrist up to 7″ (17.8 cm), but more beads can be added to accommodate a larger wrist.